This cap came out of my air compressor when the motor refused to start with no load. It had been getting sluggish for awhile. My question is can I substitute any 60 mfd , 250v Cap? What do the other specs mean? 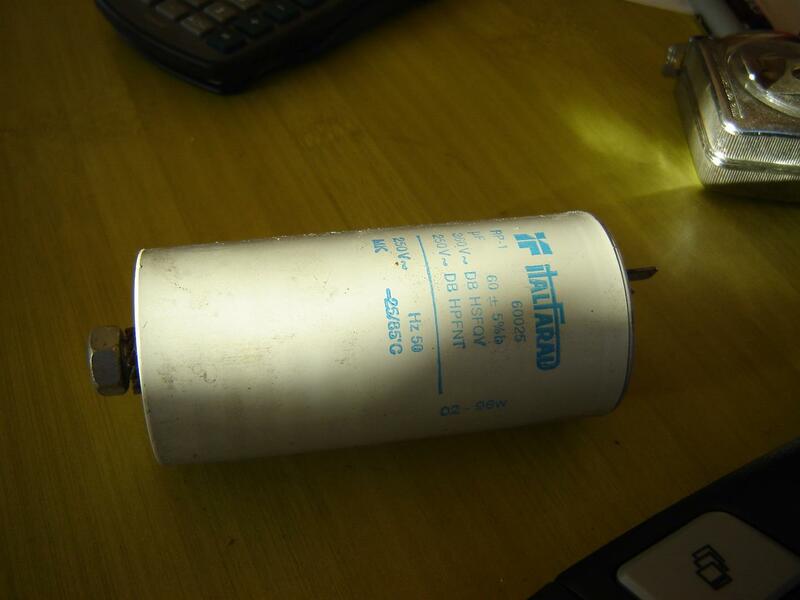 Any AC motor run capacitor with a 60 mfd 250VAC rating should work. start with no load. It had been getting sluggish for awhile. will find at a electrical equipment dealer. pretty common and shouldn't be hard to find. Thanks for the info and steering me straight.